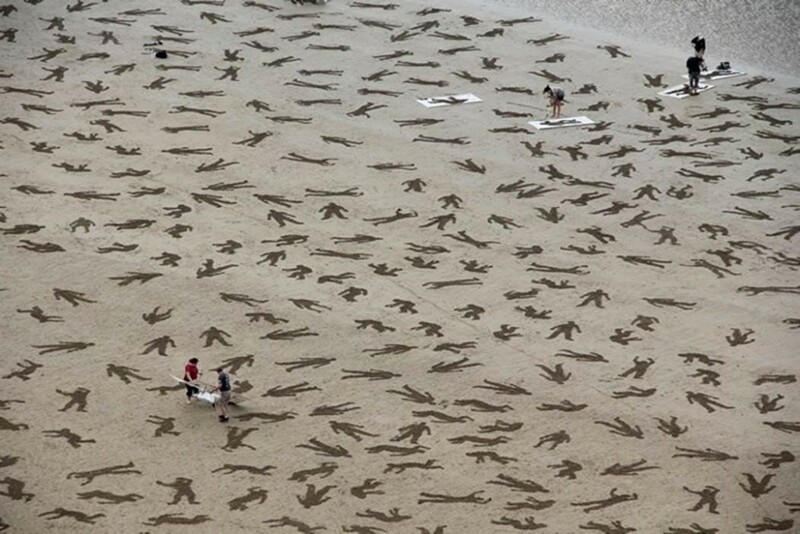 9,000 Fallen Soldiers silhouettes etched into the Sand on Normandy Beach to Commemorate Peace Day on September 25. 2013. 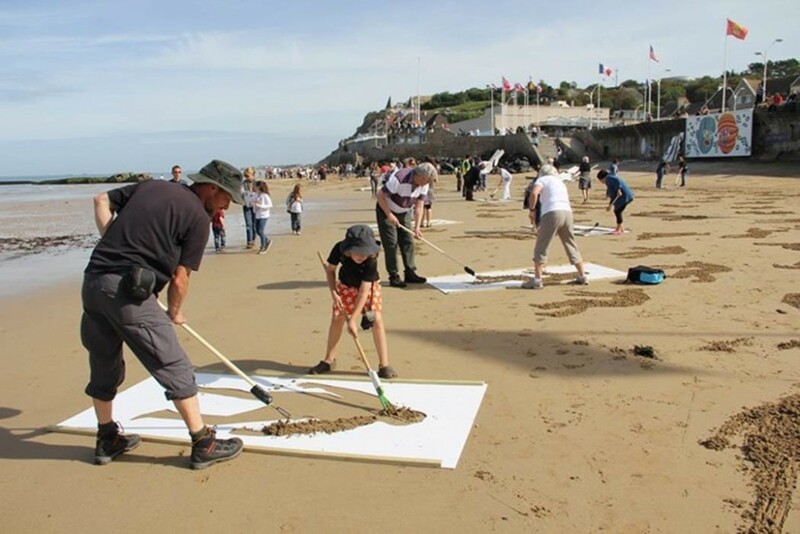 British artists Jamie Wardley and Andy Moss using volunteers with Stencils and Rakes etched 9,000 silhouettes representing fallen soldiers and civilians who died during D-Day beach landing at Arromanches on June 6 1944 during WWII. 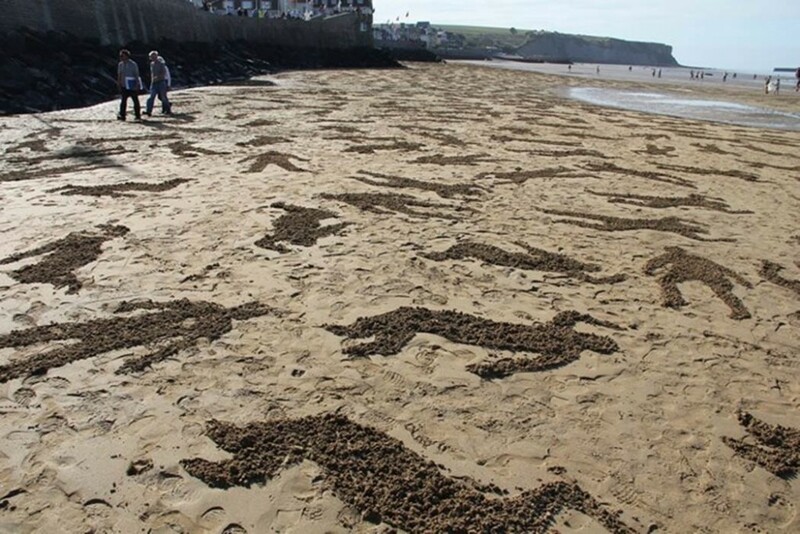 The temporary installation delivered a beautiful memorial despite the fact that it lasted only a few hours before being washed away by the tide. These artists delivered and exhibited with social conscience, natural beauty, and memorialized respect for lives sacrifice so many years ago.